In November 2018, VCC signed a Memorandum of Understanding (MOU) with the three key seafood associations in Singapore – Punggol Fish Merchants Association (PFMA), Seafood Industries Association Singapore (SIAS) and Singapore Fish Merchants’ General Association. We are the appointed technology partner to help establish the Seafood e-Marketplace, a global B2B seafood trading platform. 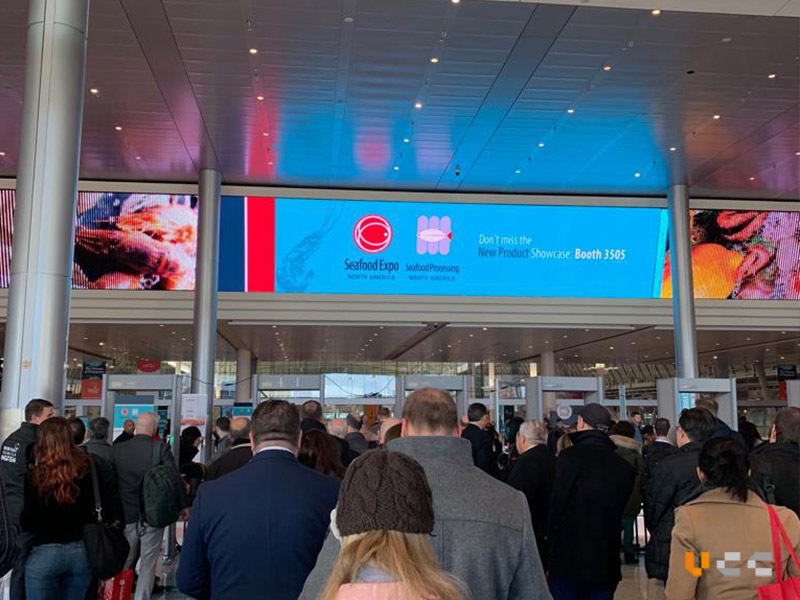 With the Enterprise Singapore’s support, SIAS had organised a Singapore Pavilion at the Seafood Expo North America/Seafood Processing North America event. 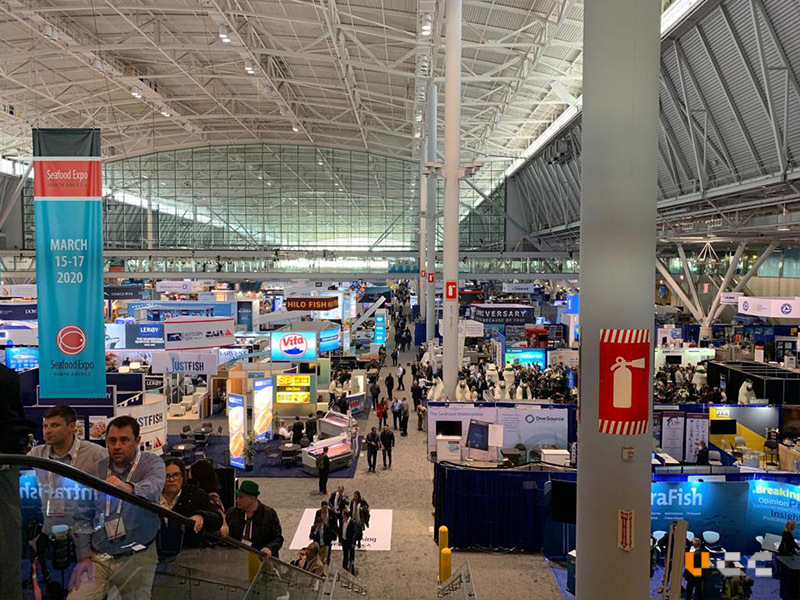 This event is North America’s largest seafood trade event and was held in Boston last month. SIAS had also kindly extended their invitation to VCC to participate at the event, to promote the Seafood e-Marketplace. The Seafood e-Marketplace is an intuitive and simple to use platform for seamless domestic and cross-border seafood trading. It aims to promote business and operational efficiency by streamlining the process of seafood wholesale trading. The Seafood e-Marketplace enables end-to-end visibility, allowing merchants to manage seafood supply and demand better. This platform takes care of tedious backend processes such as logistics arrangements and preparation and submission of regulatory documents and also provides complementary services such as trade finance, insurance and payment. We were also glad to have Mr Daniel Pe, PFMA Chairman, at the trade event to show his support and to help promote the benefits of the Seafood e-Marketplace to fellow seafood merchants. 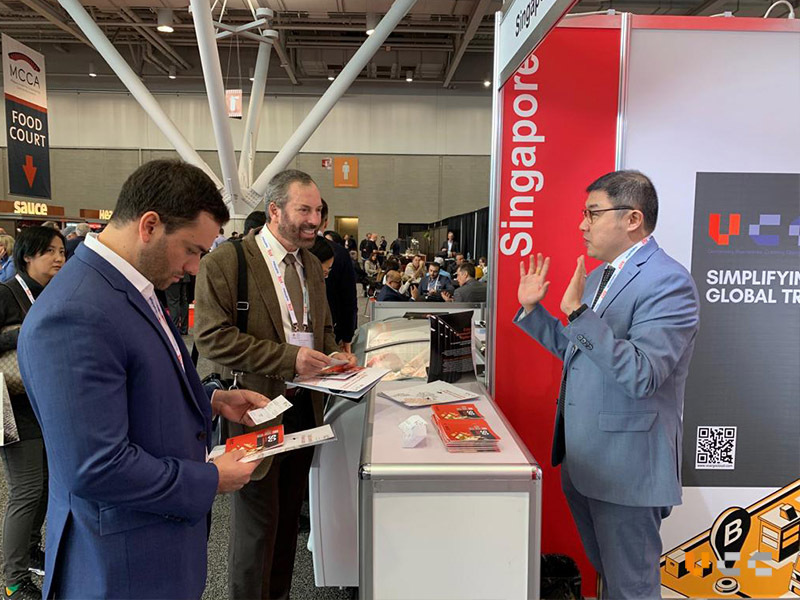 Along with Mr Allen Chan, our Deputy Chief Executive Officer, they have both garnered a lot of interest from seafood buyers and sellers from all over the world. 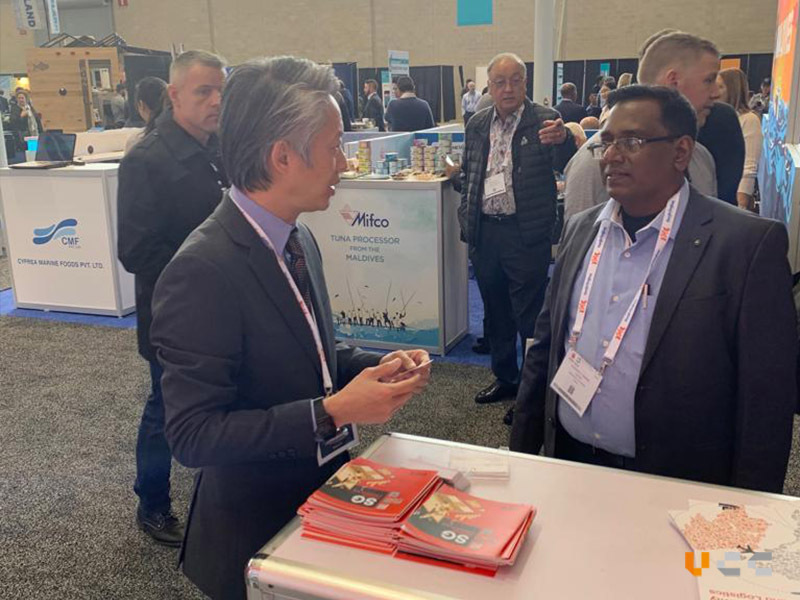 Mr Allen Chan, our Deputy Chief Executive Officer, gathering interest from seafood buyers and sellers from all over the world.